MerchantCircle helped sponsor Small Business Week in San Francisco this week is support of thousands of small businesses in the City by the Bay. Monday night, MerchantCircle visited the Flavors of San Francisco hosted by Mayor Gavin Newsom and the SBA District Director Mark Quinn. This gala event was attended by thousands of local small business owners along with leaders from all of the top merchant associations. Some of our top participating restaurants picks include Ike's Place, Lotta's Bakery, Pacific Catch, and Gastronaut. Wednesday, the MerchantCircle team participated at the Small Business Conference at SFSU where thousands of small business owners attended workshops and lectures designed to provide them with resources, tips and practical advice from experts to help them launch and grow their businesses. The workshop topics ranged all of the way from online marketing to contracting to financial strategies to retirement planning. The MerchantCircle team was instrumental in helping thousands of small businesses to set up a business listing at MerchantCircle.com as a first step in promoting their business online. 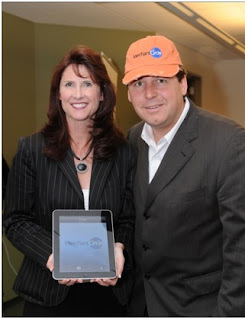 MerchantCircle forged strategic alliances with many of the top San Francisco Merchant Associations including the SBA, SF Chamber of Commerce, BizTechDay, and North Beach Chamber of Commerce with the partnership goal of helping all of their members to stand out from the competition by utilizing the power of the MerchantCircle business networking platform. 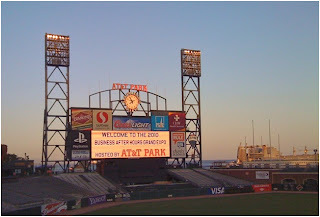 Thursday night's 2010 Business After Hours Grand Expo at AT&T Park was the highlight of the week. Hundreds of small businesses came together for a night of networking, showcasing, great food and lots of fun! The MerchantCircle team was excited to meet so many local, small business owners. All new businesses that signed up for FREE at MerchantCircle this week were automatically entered into the MerchantCircle iPad contest. Check back to our blog early next week when the 2 lucky winners will be announced!